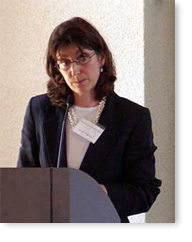 Laurie Maguire is Professor of English Literature at Magdalen College, Oxford. She specializes in Shakespeare but her dramatic interests are wide: from ancient Greece to contemporary theatre. In the Renaissance her particular passions are Christopher Marlowe, Thomas Heywood, and the period’s most prolific playwright, “Anon”. She has been a judge on the Laurence Olivier Theatre panel, and reviews theatre for the TLS. Her works include, Where there’s a Will there’s a Way; Or All I really Need to Know I Learned from Shakespeare, Shakespeare’s Names and Helen of Troy: From Homer to Hollywood.